It’s almost time for the New Gamegrounds mini-festival I co-run at Brakke Grond next week. A couple of months ago De Brakke Grond got in touch with me to see if we could do something together as part of their Hack/Play month in April/May. They are running several events that ‘provide a space in which to push boundaries of the rules of play’. New Gamegrounds will be a 2-day mini festival where we bring together the worlds of games, theatre and performance, through talks, a playful jam and a playful route with games, performances, a DIY Escape room and a shortlarp. Leading up to the event, De Brakke Grond did an interview with me about the event. Have a read on their website! New Gamegrounds is a collaboration between De Brakke Grond, zo-ii, Playful Arts Festival and DeBuren. 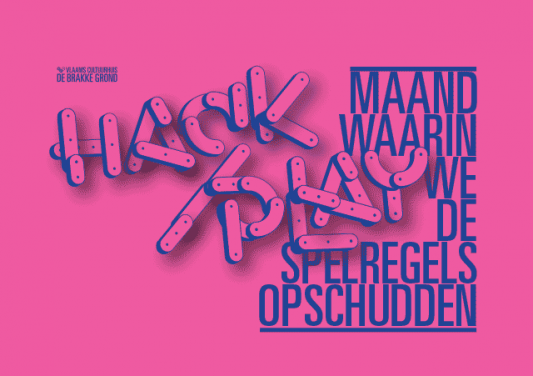 The event is part of the Hack/Play month at De Brakke Grond.